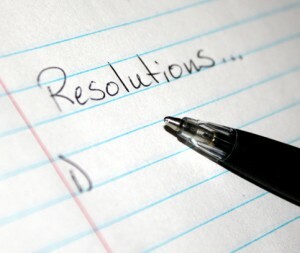 How many times have you made New Year’s resolutions, determined that this year will be different and you will be better? We make resolutions because we don’t like ourselves the way we are. We don’t like our tiredness, our fatty parts, our busy schedules, how much (or little) money we make, how often we yell at our kids. We make resolutions because we think that if we have good muscle tone or a more balanced budget, we’ll be better people. If we’re better people, we’ll be happier. Right? As an addict, the prospect of making New Year’s resolutions may loom even larger. Of course you should change—you’re an addict and therefore a failure, a disappointment, and a liability to yourself, your friends, your boss, your family, your car mechanic, the cashier at the market…everyone! In fact, it would be irresponsible NOT to make a resolution to quit your addiction. And so the spiral of self-recrimination and self-doubt and self-pity spins faster and faster, and before you’ve made any resolutions, you need a drink. According to Time magazine, only 8% of people who make resolutions stick to them. The rest of us quit after a week and end up hating ourselves. Alan Watts, a philosopher and alcoholic, writes, “Instead of deciding that you won’t be an alcoholic anymore, the only thing to do is not to drink, without any previous decision on this matter.” In other words, putting ourselves through mind games creates anxiety, guilt, and the torment of indecision. Making a resolution to be sober for 365 days is an open challenge to our ego, and our ego will fight hard to maintain status quo and make sure we fail. If we want to stop using, we stop for this moment. Then, we stop for another moment. This year, forget resolutions. Try something new. You could start by thinking about who you are right now. What if you never change? Can you still find a way to love and accept yourself? Can you still believe that, despite how broken you feel, you are in truth, at this very moment, whole and perfect? Loving yourself will probably seem like an impossible task. But think about it a little longer. What would it feel like to love yourself? What would it feel like to stop fighting yourself all the time? As you think about it, you’ll discover that you already know what it feels like. Stay in that knowingness for a moment. Return to it whenever you can. Rather than a list of resolutions, here’s a short list of things to remember. Wherever you are, whatever you feel like, you always have the option to pause, take some deep breaths, and seek the place inside you that is okay. You can stay there as long as you like. Asking for help is a step of power, not of weakness. Professional help is available. You are not alone. No matter how lonely or hopeless you may feel, someone else is experiencing those feelings, too. Millions of people have been caught in the darkness of addiction and have found a way out. They are your tribe, the people who will welcome you and support you if you choose to try a new way.